317 Commonwealth is located on the north side of Commonwealth, between Hereford and Massachusetts Avenue, with 315 Commonwealth to the east and 319 Commonwealth to the west. 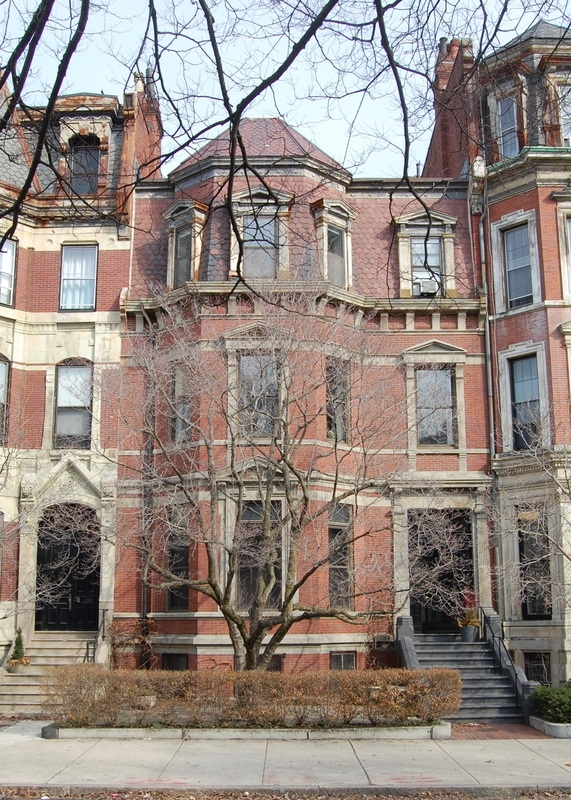 317 Commonwealth was designed by architect Obed F. Smith and built in 1878 by James W. Tobey, builder, as the home of Josiah Gardner Abbott and his wife, Caroline (Livermore) Abbott. He is shown as the owner of 317 Commonwealth on the original building permit application, dated April 3, 1878, and on the final inspection report, dated December 31, 1878. Josiah Abbott purchased the land for 317 Commonwealth on April 9, 1878, from Grenville T. W. Braman, Henry D. Hyde, and Henry M. Whitney, trustees of a real estate investment trust that had purchased several parcels of land on March 1, 1872, from the Boston Water Power Company. 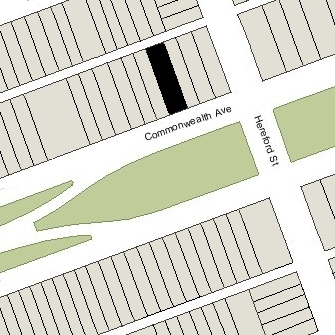 Click here for an index to the deeds for 317 Commonwealth, and click here for further information on the land on the north side of Commonwealth between Hereford and Massachusetts Avenue. By the 1878-1879 winter season, Josiah and Caroline Abbott had made 317 Commonwealth their home. They previously had lived at 6 Arlington. They also maintained a home in Wellesley Hills. Caroline Abbott died in September of 1887. Josiah Abbott continued to live at 317 Commonwealth until his death in June of 1891. On July 2, 1892, 317 Commonwealth was purchased from Josiah Abbott’s estate by Miss Eliza Collamore and Miss Helen Elizabeth Collamore, sisters. They previously had lived at 115 Beacon. Eliza Collamore died in February of 1900. Helen Collamore continued to live at 317 Commonwealth until her death in April of 1915. On October 18, 1916, 317 Commonwealth was purchased from Helen Collamore’s estate by Lillior (Lillie) Taylor (Dowling) Nutting, the widow of William B. Nutting. She was the sister of Mark Temple Dowling, a real estate dealer in partnership with James Sumner Draper. On October 19, 1916, she transferred the property to her brother, and on November 16, 1916, he transferred it to his partner, J. Sumner Draper. On January 25, 1917, 317 Commonwealth was purchased from J. Sumner Draper by William Converse Chick. He and his wife, Ruth Agnes (French) Chick, made it their home. They previously had lived in Brookline. They also maintained a home in Swampscott. William Chick was an investment banker until the death of his father, Isaac William Chick, in March of 1929. William Chick then succeeded him as president of John H. Pray & Company, dealers in furniture, carpets, rugs, and wallpaper. In May of 1917, William Chick applied for (and subsequently received) permission to add two new windows and to remodel the interior. The Chicks raised their three children at 317 Commonwealth: William Converse Chick, Jr., Robert Franklin Chick, and Elizabeth Chick. Robert Chick married in December of 1943 to Frances Caroline Stout. He was serving in the US Army Air Corps and, after their marriage, they lived at 317 Commonwealth until about 1946, after which they lived in an apartment at 265 Commonwealth. He was employed with John H. Pray & Sons and succeeded his father as president of the firm in 1958. Elizabeth Chick married in December of 1944 to Allan Douglas Parker. After their marriage, they lived in Swampscott. William Chick, Jr., married in April of 1945 to Eleanor Ann Chandler. After their marriage, they lived in Newton Highlands. He was employed with John H. Pray & Sons and later became vice president of the firm. 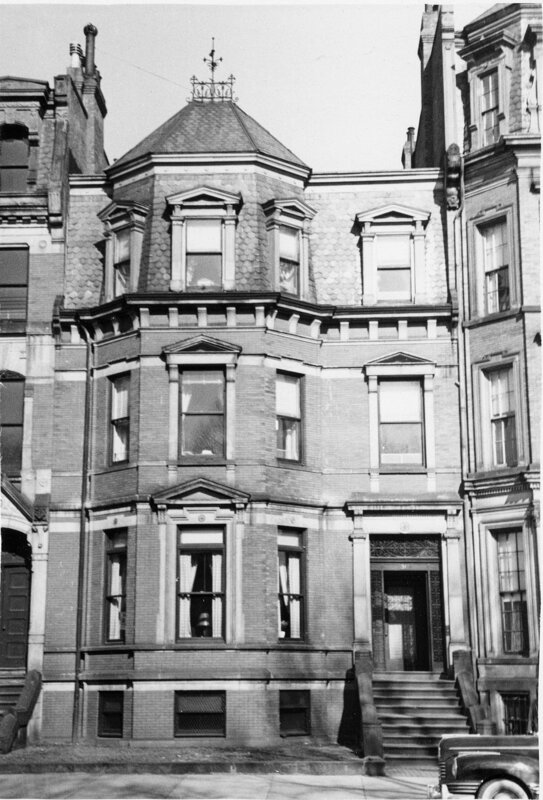 William and Ruth Chick continued to live at 317 Commonwealth until his death in October of 1965. Ruth Chick moved thereafter. On September 8, 1966, 317 Commonwealth was purchased from William Chick’s estate by florist Maynard Winston and his wife, Miriam G. (MacLeod) Winston. In October of 1966, Maynard Winston applied for (and subsequently received) permission to convert the property from a single-family dwelling into five apartments. In November of 1966, he amended the plans to increase the number of apartments to six. The Winstons lived in one of the apartments. On March 1, 1985, the Winstons transferred the property into Miriam Winston’s name. Maynard Winston died in January of 1988. Miriam Winston continued to live at 317 Commonwealth. On December 31, 1993, 317 Commonwealth was purchased from Miriam Winston by her four sons – David, Theodore, Alexander, and Michael Winston – as trustees of the WB Commonwealth Avenue Nominee Trust. 317 Commonwealth remained an apartment building in 2017.